The determination of pH value and the analysis of redox potential plays an important role in many production chains and waste management. The automated testing of the various variables is primarily carried out by many companies and branches of industry and must be supported by appropriate measuring and control technology. 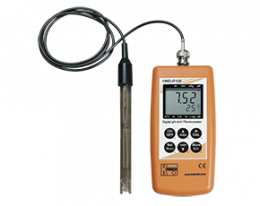 The pH measuring devices and redox meters from Kobold impress with their high resistance as well as their high accuracy and provide easily integrable data at the highest technical level. Many companies use Kobold's redox probes and pH probes all over the world and use them in their production sites and factories. 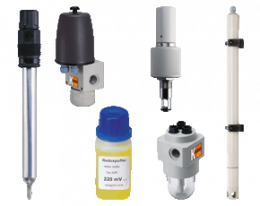 In contrast to the chemical methods for the determination of pH and redox potential, the electronic measuring instruments offer not only a higher accuracy, but also a significantly longer service life and thus better application duration. As a result, the economic effort required for the necessary controls can be significantly reduced. Kobold's fixed-mount pH and redox meters are offered and used as standard combined electrodes. The robust construction and the narrow shape allow the use of these measuring instruments under adverse conditions and allow a comprehensive and exact measurement of the required factors. Long service life and high flexibility have made these measuring probes particularly popular. 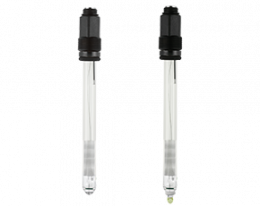 pH and redox probes are available both as a simple variant and as a solution with integrated temperature control. 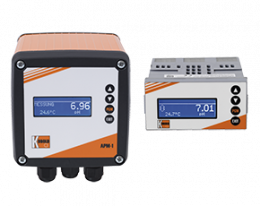 The measured data from pH and redox measuring devices are made available to a wide range of different systems via various standardized outputs. Thus the monitoring of pH value and the redox potential can also be automated without any problems and as a result can be accelerated. In addition, the data can also be displayed and controlled at the pH transmitter, which also allows direct control at the measurement site. Thus, systems can be redundantly checked and monitored by two workstations at the same time. Automated measuring probes for pH values and redox potentials of the electronic fuse are particularly useful when important conductivity values have to be met or are to be achieved by means of further measuring instruments. Anyone who wants to check the pH value and the redox potential of liquids by means of a hand-held measuring device, can in many cases resort to different devices. In case of Kobold, however, a single device is offered which takes pH measurement, redox determination and temperature determination. The compact and powerful HND-R106 hand-held measuring device offers not only automatic temperature compensation but also a hold function and an integrated minimum / maximum value memory and can therefore be used for daily or regular comparison checks. The hand-held measuring instrument is used in many different application environments and finds regular application areas both in sewage treatment, in laboratory applications as well as in the chemical and pharmaceutical industry. Thanks to serial interfaces, the data from the hand-held measuring devices can be transferred to corresponding systems and thus permanently archived. 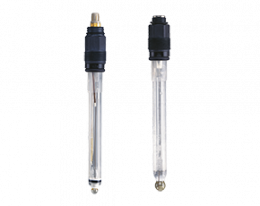 Ideal for all applications in which the installation of a fixed pH probe or a redox probe is not cost effective or in which the installation of such permanently installed measuring devices is not possible. The high flexibility of the hand-held measuring instruments is not acquired by means of poorer or inaccurate results. The permanently installed measuring probes and instruments and the hand-held measuring instruments have a precise calibration and offer high accuracy with small measuring tolerances.